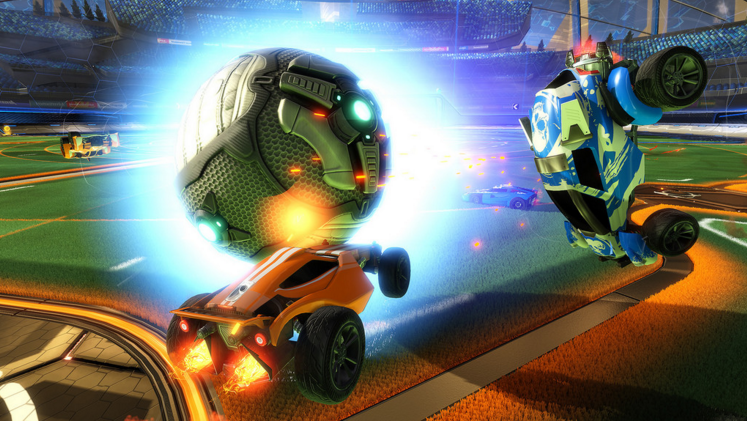 A new update patch is now available for Rocket League, version 1.17 is out now and available to download for PC, PlayStation 4 and Xbox One. It is a very big patch that comes with new DLCs and a lot of awesome features like Hoops Mode, Cosmic Arena, Flags and more. Hoops matches are 2v2 and take place on a new map, called Dunk House. You will also get NBA flags, to coincide with the basketball theme. Everyone gets a free NBA flag and you can buy the rest, up to all 30 flags available. After you apply this patch to your game, you will also be able to save replays mid-game, replay can be renamed and Hoops is now available in Casual Playlist. Below you can find the patch notes and what interesting updated cointains this new patch. Mouse/Keyboard – A pencil icon appears when mousing over a replay. Clicking the Pencil brings up the rename dialog. Controller – Pressing Triangle button on the Replay menu brings up the rename dialog.